Jared Unzipped: Star Wars: The Force Awakens Is Repeating The Phantom Menace's Biggest Mistake. Star Wars: The Force Awakens Is Repeating The Phantom Menace's Biggest Mistake. 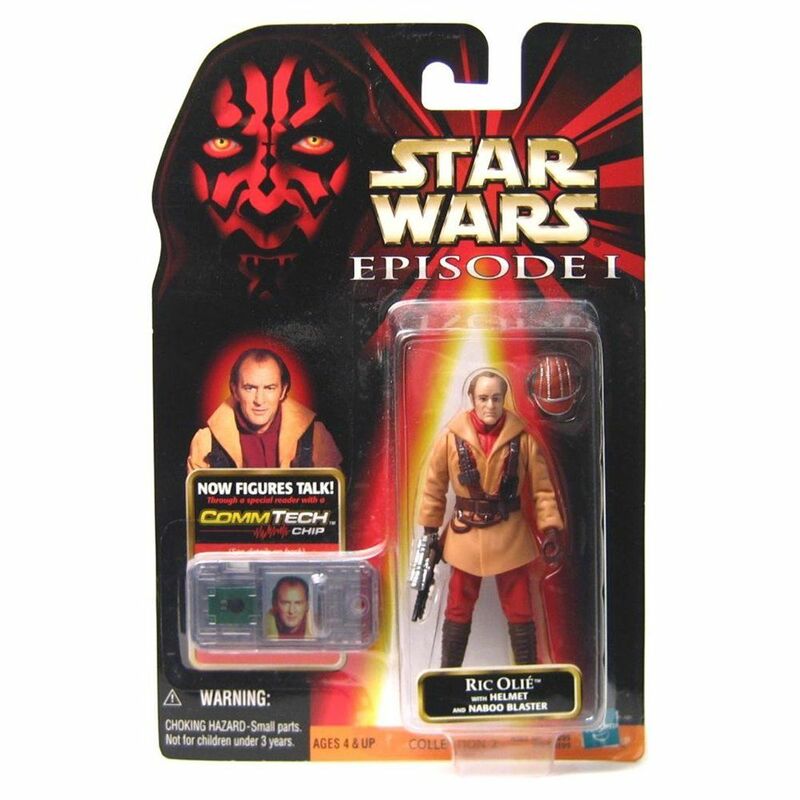 Immediately, I was reminded of the Star Wars merchandising deluge that hit after the first prequel movie was released in 1999 -- The Phantom Menace. 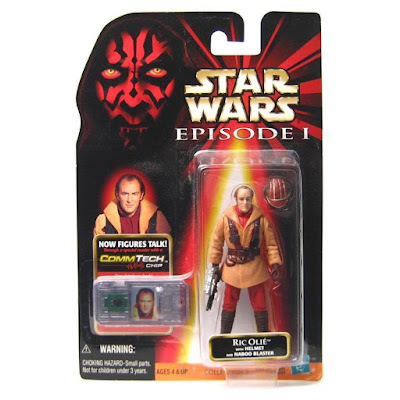 At the time, everything you could possibly imagine was sold with Darth Maul or Jar-Jar Binks' face on it. Toy aisles were swamped with an excess of items, much of which lingered on for many months (in some cases, years) after the film left theaters. In fact, many of the products considered collectible at the time are now worth next to nothing. Forget funding your retirement on your treasure horde of mint-in-package Ric Olie action figures. Original retail price? $7. Current value? $6. Uh-oh! This is merely speculation on my behalf, but I can't help but wonder if the same cycle of over-merchandising is repeating itself all over again. Will the trends of the past hold true for the future? I think so, but who can say for certain? 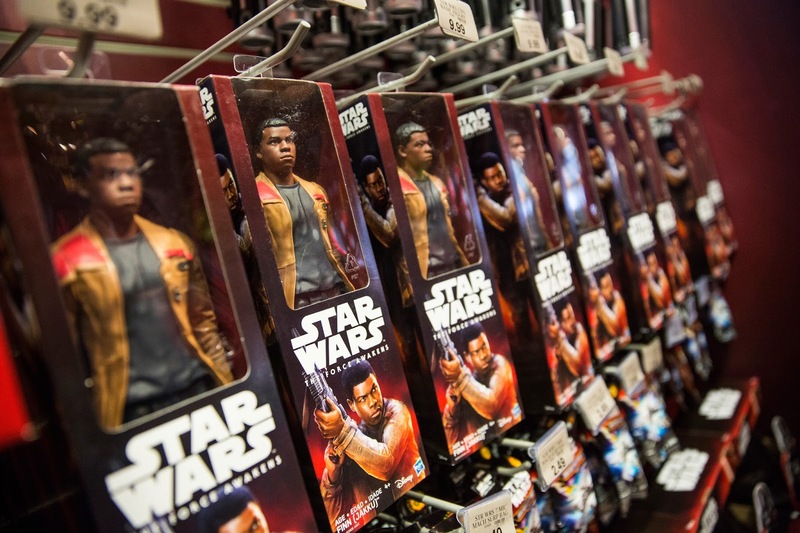 Sure, Star Wars fans quickly jumped on new The Force Awakens toys, games and bed sheets when they were first made available in September of 2015. Undoubtedly, all of the licensing partners of the Star Wars franchise probably made a fortune. Yet, what about three months, six months, a year down the line? What happens when these same toys and games simply aren't purchased, left to clog up shelf space and project an altogether depressing atmosphere? Of course, the studio heads at Disney, whom purchased the Star Wars universe from George Lucas for over four billion dollars, have a contingency plan in place. They're going to release a new Star Wars movie annually for as long as, well... let's just say indefinitely. Another film in the series will premiere this coming December, entitled Rogue One. That means a whole new batch of merchandise to occupy valuable retail real estate. Forgive me for not being excited. It's plain to see that Disney is not going to let us forget that they now own Star Wars. Oh no! Mickey Mouse is going to force feed us a steady stream of Jedi mind tricks until we choke on it. But what if all of this merchandising backfires? While the force is strong with Star Wars collectors and fanboys, what if everyone gets tired of licensed goods flooding Planet Earth from a galaxy far, far away? Could these same individuals simply grow tired of the constant Star Wars assault on their wallets? Seems to me that the potential for losing interest in the franchise is all too real. Too much of something is definitely not a good thing. Perhaps waiting a few years between films to build up consumer anticipation, as was done with the original and prequel trilogies, would be a good thing. As 2016 rolls along, I'm going to pay close attention to just how much Star Wars merchandise lingers in department stores. Something tells me that a lot of what we're seeing for sale now will eventually wind up on clearance because no one really wants it.